Marianne gives us an itinerary that explores the main city on the island of Hong Kong but also gets to Kawloon and out to some of the other islands. She starts us at The Peak which is a viewing platform on the mountain in the middle of Hong Kong Island. It is the most popular tourist attraction in Hong Kong. The photo at the top of the show notes would be taken from the Peak. There is an easy walk on a loop at the top as well as a chocolate museum. The best way to get around is on the old rickety trams from the 1950s that run the length of Hong Kong Island. The best seat in the house is upstairs in the front. Hong Kong is very hilly. The mid-levels is where many people live and you can access it via the mid-level escalator. The escalators run downhill in the mornings and uphill after around 10am. You get a great view from the escalator. SOHO (South of Hollywood Road) is about half way up and has a number of cozy wine bars and restaurants with great nightlife. Kawloon is more chaotic and staying their is the “quintessential Hong Kong experience” according to Marianne. Kawloon also has the best views. The best way to get between Kawloon and Hong Kong island is to take the Star Ferry which is super cheap with great views. Take it once during the day and once at night. Marianne recommends a trip to Lantau Island to see the giant Buddha. The way to get to the Buddha is a cable car with a stunning view. She also recommends a stop at the oldest fishing village in Hong Kong called Tai O. It is known for its houses on stilts and pink dolphins. We also talk about a trip to a couple of the 200 islands around Hong Kong. 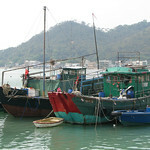 One of the most popular ones is Lamma Island which has really good seafood restaurants. You can get there by public ferry. Marianne also likes a trip to Po Toi. 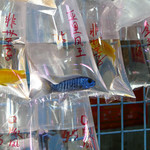 Hong Kong has streets with antique shops and art galleries, shops with Mao era souvenirs, a flower market, a jade market, a bird market, and a goldfish market. It has street markets like the Lady’s Market or the Temple Street Night Market where you can buy your knockoff handbags or “Galvin Klein” underwear. We eat our way through Hong Kong including dim-sum at Maxim’s Palace and food eaten on plastic stools at a night market. She also takes us to markets with strange foods that you might prefer to photograph than eat. For practical tips Marianne recommends getting an Octopus card to access public transportation and even get a sandwich from shops near the subway. Hong Kong is a great gateway to Asia, it is Asia with English subtitles. See if you don’t fall in love with this vibrant delicious city as well. This episode is sponsored by Idagio.com. Your classical music app. Listen anywhere, anytime. Try free for 14 days then $9.99 a month. Excellent information about Hong Kong. Perfect timing as I am going there in April. Also, I have a travel podcast, Zipping around the world travel podcast, and I’d like to be a guest on your show to discuss the Greek Island of Samos.